As a tour guide one is always on the lookout for places to take your foreign visitors. There are many wine estates in the Cape Winelands but one wine farm that stands out is the Neethlingshof estate. This estate has been around since 1692 when Simon van der Stel one of the Dutch governors of the Cape gave permission to a german settler named Willem Barend Lubbe, to farm on the Bottlery Hills. Lubbe named the estate “De Wolwedans” (The Dance of Wolves), after the many jackals that lived in the hills at that time. Coming from Germany he thought these small creatures were wolves. To get to this wine estate one can approach it from two sides along the Polkadraai road, either from the direction of Stellenbosch the second oldest town in South Africa or from the Kuilsriver side which is n the western slopes of the Bottelery Hills. Approaching from the Kuilsriver side one has to pass the Polkadraai strawberry farm where other than strawberries on sale they also have a large number of scarecrows . The scarecrows to me are more interesting than the strawberries. As a tourguide one always has to find something to talk about and as I pass this farm I always tell my visitors about how the strawberry farm gets around the shrinkage problem, people eating strawberries while they pick them. Polkadraai farm has a unique way of marketing their strawberries by letting the public in to pick their own and then weighing the contents of their baskets when they leave and charging by the kilo for their strawberries. As many people cannot stop themselves from popping a few berries into their mouths along the way I always tell my guests how the farm weighs people entering to pick strawberries and then weighs them again afterwards and charges them for the difference in weight.. Of course it's a joke but you would be surprised at how many ladies object to the fact of being weighed. The Neethlingshof estate is just a few kilometres further on in the direction of Stellenbosch and can easily be identified by the large fountain one can see shooting up into the air from a kilometre or two away. Just before the entrance to the farm there are a row of farm workers cottages on the left side of the road, all very neat and tidy. These labourers cottages are not unique but were some of the first built for workers on farms during the apartheid era. Normally farm workers lived in squalor and were paid by the “dop” system. A dop being a glass or two of wine each evening. On this farm the farmer decided one day to test his workers to see if he could get away with giving them less wine. To do this he filled the bottom of the horn with paper and then poured the wine on top of this. The first couple of workers took their horn quota and swallowed it with no comment as to the lesser amount in the horn. At last one of the older workers got his turn to have his daily quota and as usual poured the wine down his throat. On emptying the horn he immediately turned to the farmer and said to him that there was something wrong. The old worker did not know what the problem was but there was something wrong. After a lot of questions from the farmer as to what was wrong the worker eventually told the farmer that it usually took him three swallows to empty the horn and on this day there was only two. The farmer was caught out and red faced he had to admit that he had sabotaged the horn. That was life on the farms back in the apartheid era. This might have happened on Neethlingshof in the old days but certainly does not happen now. Neethlingshof has a unique entrance where on arrival at the estate one has to drive through about 500 metres of pine trees which form an arch over the roadway as you approach the old Cape Dutch buildings and manor house. There are not only pines but the closer you get to the farm buildings the more oak trees you will come across. The oak trees date back to the time of Simon van der Stel who gave oak trees to the farmers to plant on their farms when he gave them farms. 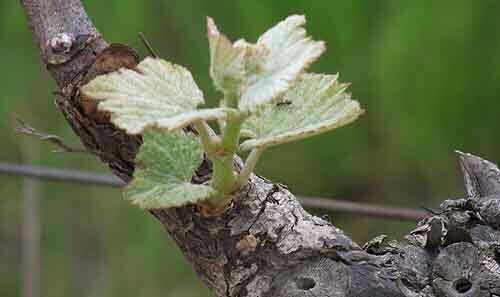 The reason for the oak trees was to eventually use them for wine barrels but van der Stel did not take our South African climate into consideration and when it came time to use the oak it was found to be porous and useless for making wine barrels. He then left them to beautify the farms in and around Stellenbosch and they are still here today. 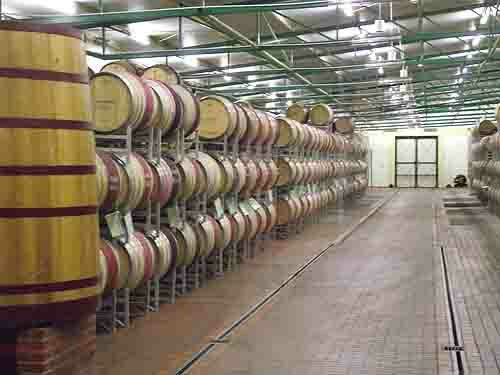 Neethlingshof welcomes tourists and locals to visit their winery and tasting rooms. The tasting rooms have recently been renovated and now open up onto the cellar where visitors can see the hundreds of wine barrels filled with maturing wines. Guests visiting the tasting rooms are seated around a table or they can sit or stand at the bar counter whre they are given a list from which they can choose a number of wines to taste. The attendants explain the various wines they are tasting and at the end of the tasting visitors are invited to buy some wine from the farm's wine shop. At Neethlingshof this shop has been moved from the rear of the old tasting rooms to the front near the entrance. From a tour guides perspective taking people to a winery on a wine tour is a very interesting experience. People when joining a tour are very self conscious and tend to whisper among themselves or to their partners while on the bus to the wine lands. Once seated around the wine tasting table all self consciousness disappears and the coach full of strangers who were too scared to look at one another suddenly all become wine connosieurs discussing the pros and cons of the wines they are tasting. By the end of the tasting they have all become firm friends and many exchange email addresses and hotel addresses and make arrangements to met somewhere else in our city for a meal or a drink. It's wonderful what a few glasses of wine can do. Locals however know it all and don't worry too much about tasting the local wines. They prefer to visit the winery's restaurant and enjoy a fantastic meal out. 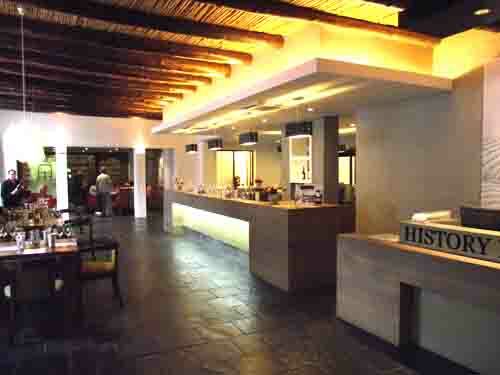 Most wine farms these days have a restaurant and cater for large and small groups. 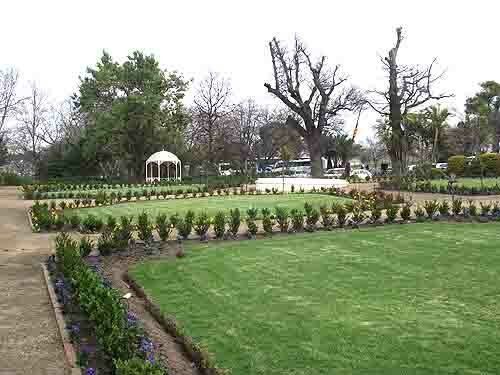 Weddings on wine farms have become very popular and many of the wine farms have set themselves up to cater for weddings and even provide facilities for the actual wedding. Neethlingshof has a restaurant called the Lord Neethling named after a previous owner who loved the good life and was nicknamed the Lord by the locals of his time. 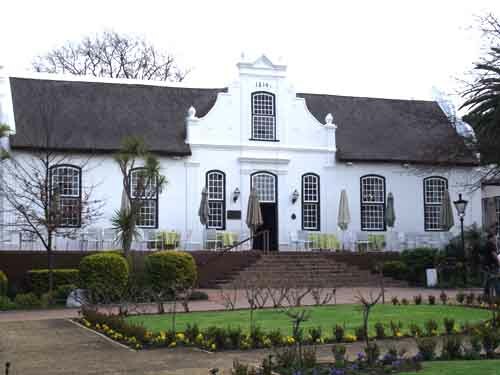 This restaurant is set up in he old Cape Dutch manor house on the farm and can cater for 250 people inside and a total of 400 guests if they are seated outside under the trees as well. While we were visiting the farm recently a wedding party arrived to take photographs and there were a number of large coaches with people enjoying lunch. Neethlingshof is a popular venue and a place I recommend that you take yourself and your foreign visitors to visit when you next go the wine lands of the Cape.